Her December 1992 cover for Harper’s Bazaar was a coup for the young Kate Moss, coming just two years after she debuted on the cover of The Face in 1990. For the holiday-themed cover, Moss holds a festive snow globe, dressed in crimson taffeta; the first of many covers for the budding supermodel. 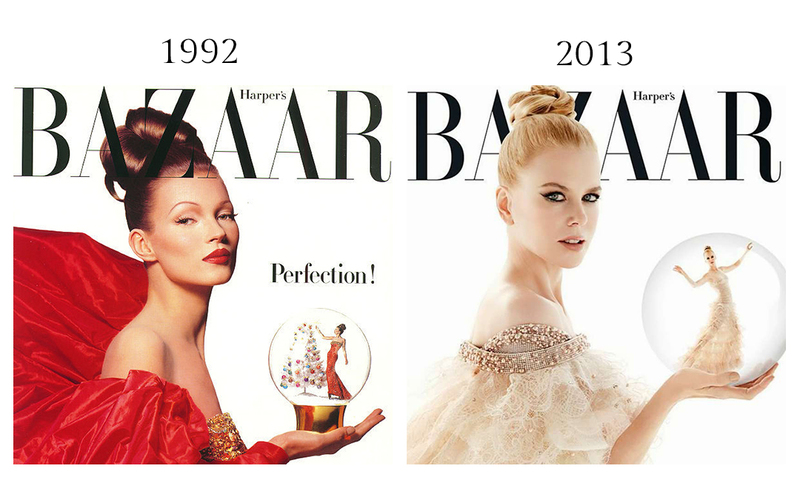 In 2013, Harper’s Bazaar Australia would pay homage to the cover, restaging the photograph with Nicole Kidman for the magazine’s holiday issue, photographed by James White.